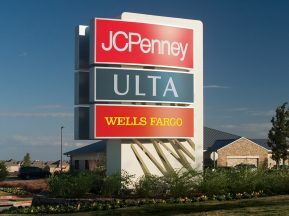 Linden Pointe on the Lateral is a 600,000 sq. ft. mixed-use business and professional complex that includes corporate offices, medical offices, retail spaces and restaurants. 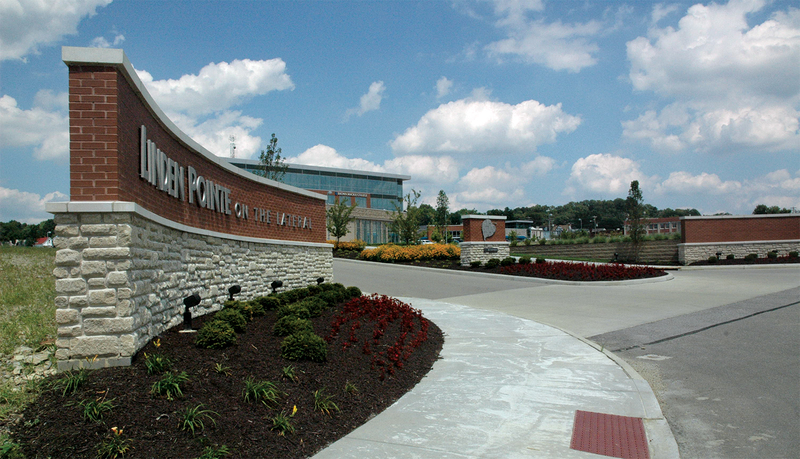 Linden Pointe is committed to being a sustainable professional business complex by providing eco-friendly landscaping, components and systems designed to conserve energy, reduce waste, and recycle resources. From the tree lined entrance boulevards, to the Class A structures, broad central courtyard and unique retailers, the image of Linden Pointe is impressive, balanced and well thought out. 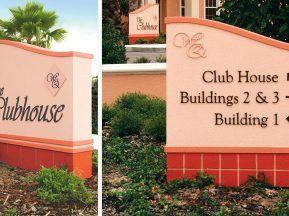 Because ASI designed and produced the custom interior signage solution for Linden Pointe, the architect and property management team turned to ASI to help create a branded exterior signage solution for the mixed-use campus within the confines of a tight schedule and limited budget. 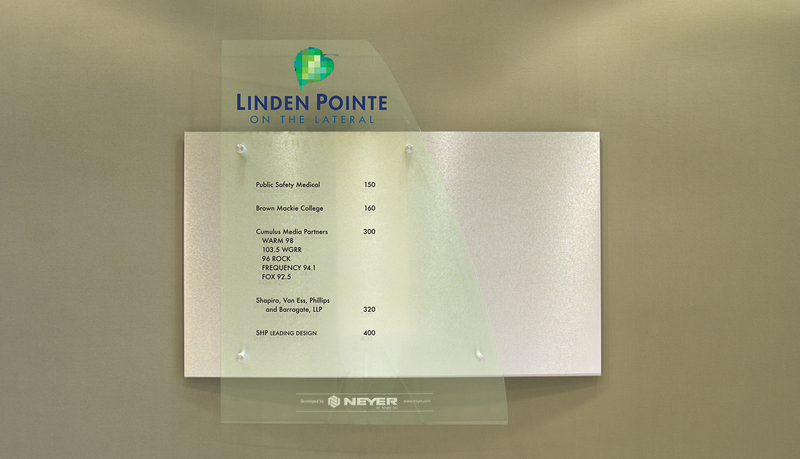 Neyer Architects approached ASI with the challenge of creating an exterior signage solution that would successfully complement the architectural design of the facility and effectively promote the Linden Pointe brand. ASI consulted with the designer to ensure the proposed solution would match Linden Pointe’s brand standards and complement the architectural design. In addition, ASI worked with Linden Pointe’s property managers and the city to ensure permits and zoning variances were quickly approved due to the tight project schedule. 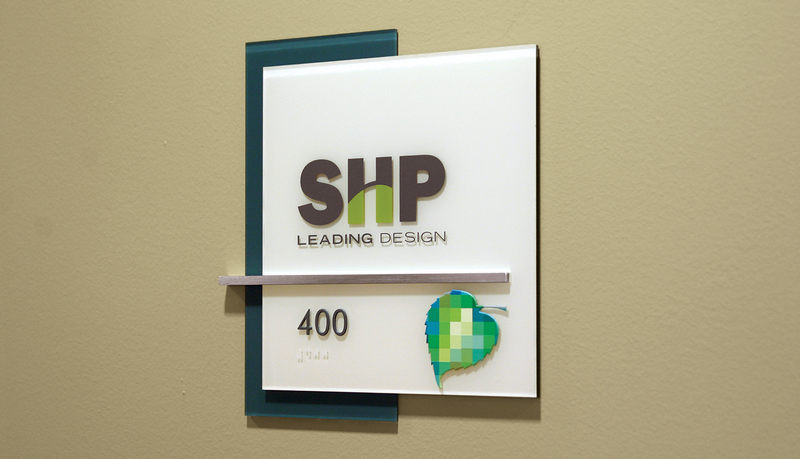 ASI was asked to produce the Linden Pointe leaf icon to serve as the main design feature for the Class A office entrance. 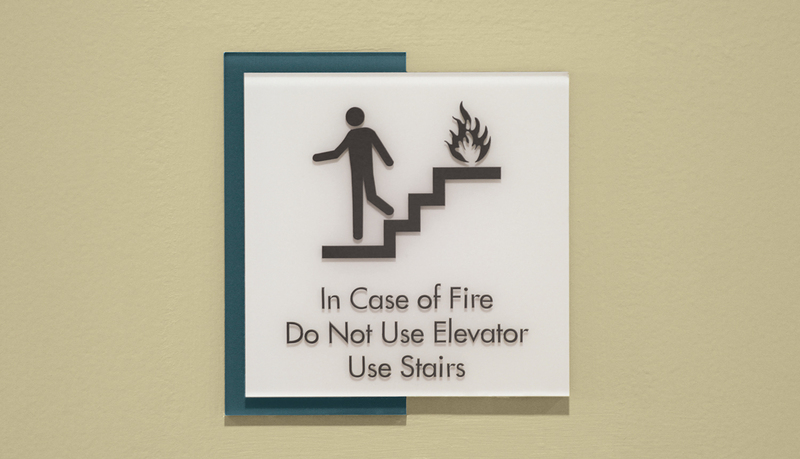 The recommended solution was a multi-level cut-plate aluminum logo painted silver. Also, the gateway corner wall needed to stand out from the clutter of traffic lights. 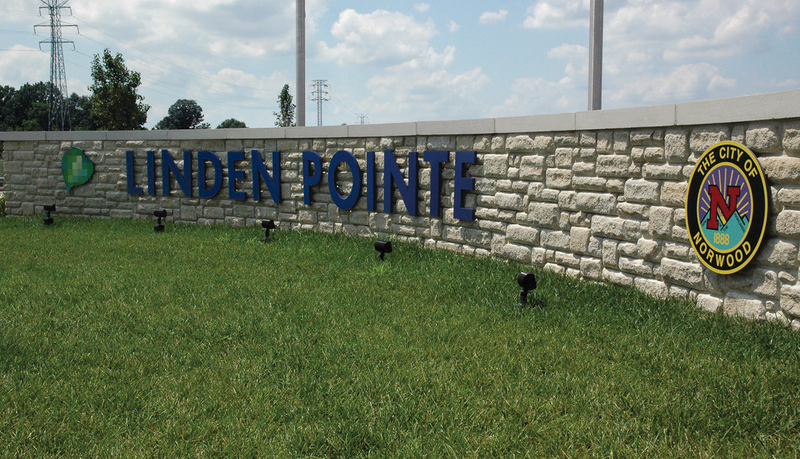 To make this possible, ASI used digital high-pressure laminate panels with full color graphics to promote the Linden Pointe brand as well as the city’s official seal. 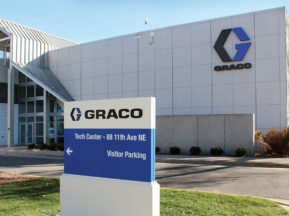 The project was completed on-time and on-budget for an open house event over a holiday weekend. 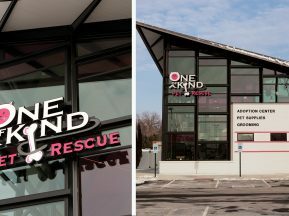 For the interior spaces, ASI provided a custom interior signage solution comprised of a multi-panel glass directory and custom ADA-Ready™ tenant identification signage. 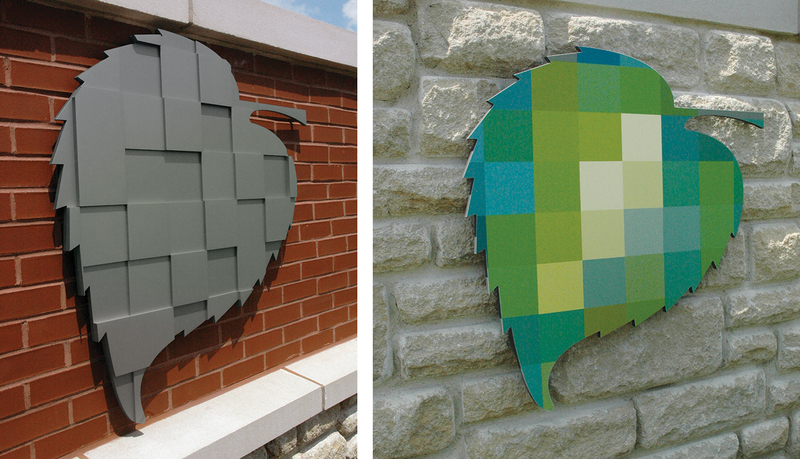 Each tenant ID features Linden Pointe’s multi-color leaf icon, which was created by using a layered InTac™ plaque sign with digitally printed leaves and an applied aluminum accent.